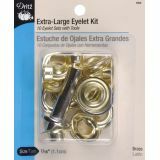 Extra-Large Eyelet Kit - DRITZ-Extra-Large Eyelet Kit. 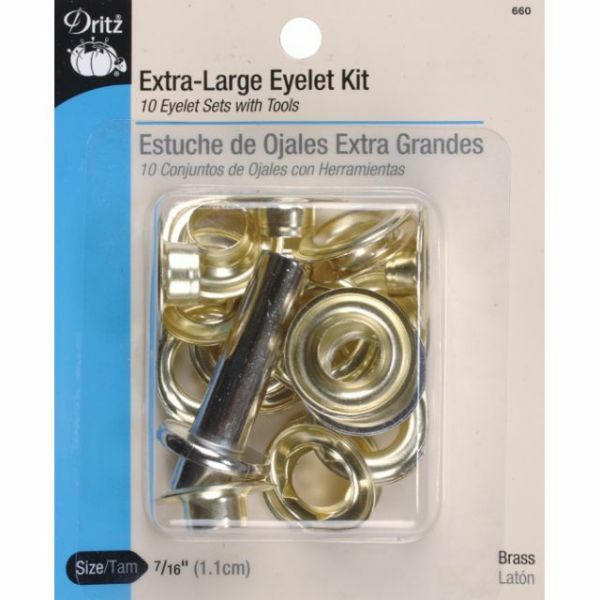 Use these eyelets with up to three layers of medium weight fabrics or two layers of heavyweight fabrics. This kit comes with setter, anvil, ten nickel plated washers and eyelets. Available in both nickel plated brass and zinc: each sold separately. Imported.